Today, I spent the day at Insadong, Seoul Korea. It’s a popular tourist destination for visitors and local natives. Insadong is a 700m long street filled with Korean souvenir shops, restaurants, tea shops, street food vendors, pottery and antiques, and more! After walking up and down the long street, I was super thirsty and decided to stop by a traditional Korean tea house. 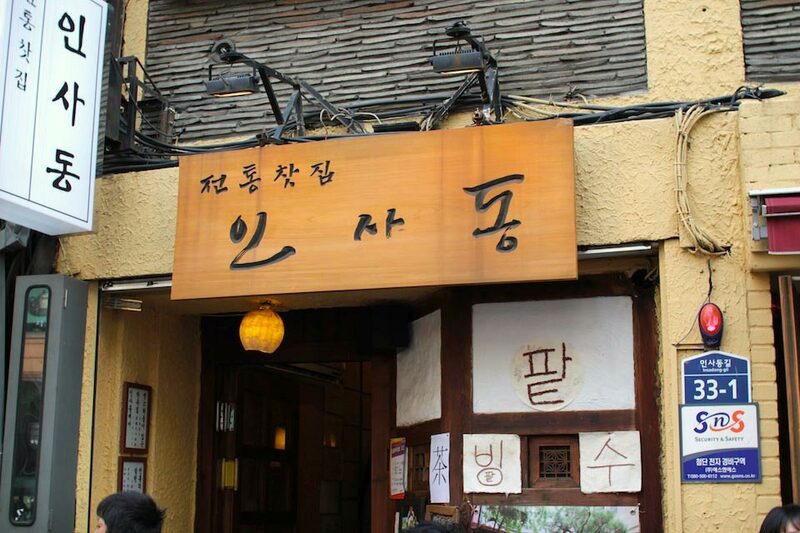 The name of the tea house was Insadong 인사동 and it’s a popular place to film Korean movies and dramas and a favorite of the natives. There’s a lot of variety on their menu, so you can choose from traditional hot or cold teas, Korean pastries, and desserts. I didn’t get a chance to take a picture of the Korean garden in the back, but be sure to take a look if you visit!